The on-going loss of our motion picture heritage is one of the great tragedies of modern America. The movies have been integral to our cultural history since the 1890s. We can’t lay claim to inventing them exclusively, but we Americans absolutely made them our own. Yet over half of the movies ever made are now lost. Much of this loss is due to practical circumstance. 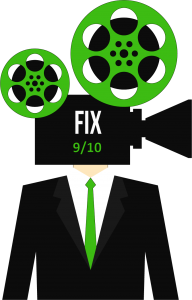 Early film stocks were highly flammable and degraded badly in storage, and prior to home video, studios had no way of making money on a film after its theatrical run. So it made more sense to destroy film prints than to preserve them. But we’re also losing our film heritage because of shifts in mass culture, entertainment consumption, and cultural awareness. Fewer and fewer people remember the names Charlie Chaplin and Buster Keaton—let alone their contemporaries Oscar Micheaux, Alice Guy-Blaché, Winsor McCay, Harold Lloyd, and the many other pioneers who created motion pictures as we know them. 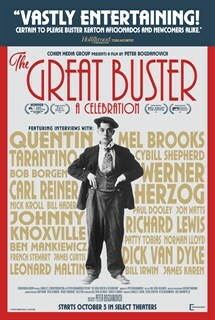 Peter Bogdanovich’s documentary The Great Buster is subtitled A Celebration, and it certainly is that. It offers a comprehensive overview of everything Buster Keaton ever did on celluloid, lovingly celebrating the best of his work while also acknowledging his missteps. Bogdanovich has a broader agenda, though. At one point he references the painfully accurate Gore Vidal quote describing this country as the United States of Amnesia. Bogdanovich doesn’t want only to entertain us. He is also fighting against the fading of our cultural memory. His film is part biography and part historical monument. The Great Buster is structured oddly but effectively. Bogdanovich begins with the most thorough cinematic biography ever released of the unassuming Keaton. It covers Keaton’s earliest days, when he literally toddled onto the stage during one of his parents’ vaudeville performances. 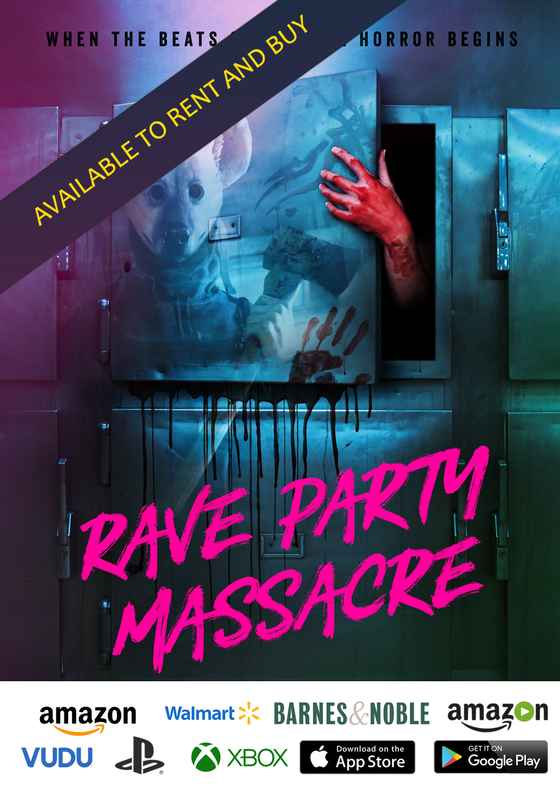 He was a natural and soon became the star of their act, even though much of the time they used him, quite shockingly, as a sort of human prop to be tossed about the stage. He began working in the movies as a young man, first as an understudy and comedic partner to Roscoe “Fatty” Arbuckle, then as a writer/director/actor/stuntman in his own films. Along with Chaplin, Lloyd, and Harry Langdon, Keaton was one of the biggest stars in silent comedy. 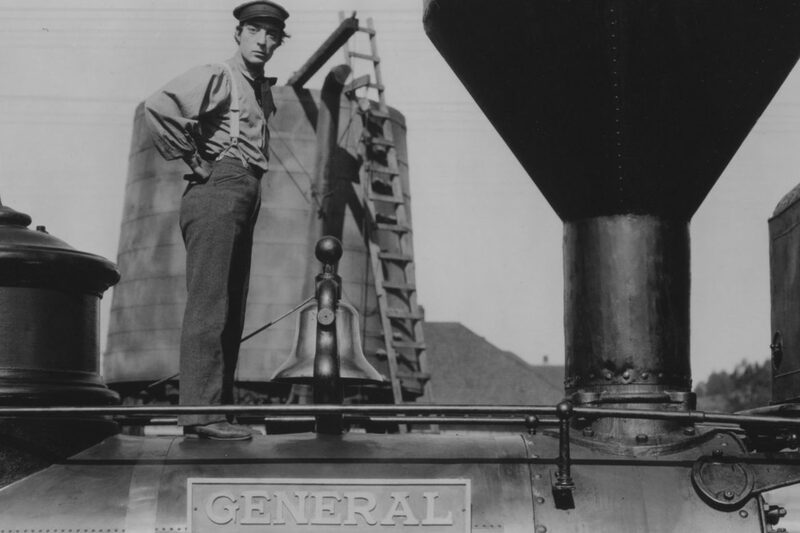 The entire first and second acts of The Great Buster tell Keaton’s life story from beginning to end and offer glimpses of all his short films, but we initially gloss over the feature films he made in the Twenties. Bogdanovich then rewinds for the third act and discusses each of Keaton’s features in depth. This is when the film truly becomes a celebration, because the ten – yes 10 – feature films Keaton released between 1923 and 1928 are as joyous now as they were when they were released. 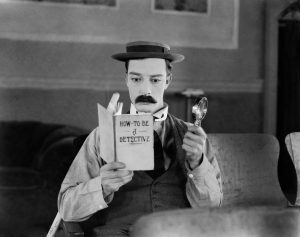 1924: American comedian Buster Keaton (1895-1966) armed with only a magnifying glass and a copy of ‘How To Be A Detective’ hopes to become a great detective in the film ‘Sherlock Junior’. Our Hospitality (1923), Sherlock Jr. (1924), The Navigator (1924), The General (1926), and Steamboat Bill Jr. (1928) are all considered classics – The General is frequently included on lists of the best films of all time – and Keaton’s other features during this period are all very funny and have their own moments of brilliance. Take into consideration that Keaton directed and starred in these movies and co-wrote most of them, as well as did all of his own stunts. This six-year run is unparalleled in all of movie history. And as one of the interviewees in the film says, his work is funny almost a hundred years later, and will still be funny a hundred years from now. Many argue that of all his comedic contemporaries, Keaton was the most cinematic because he best understood how to use the film medium. 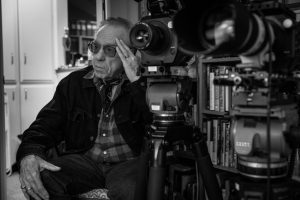 His style of visual comedy could only be done with a camera and editing, and on numerous occasions, he used comedy to unlock potential uses of the cinema that other filmmakers didn’t know existed. He was a genuine innovator. All of this has to be seen to be believed and appreciated, especially Keaton’s outrageous stunt work, and that is the whole point of The Great Buster. It is full of scenes from Keaton’s films and of things even aficionados have likely never seen. If you know nothing of Keaton or his work, The Great Buster is a perfect introduction. If you’re already a fan, it’s a wonderful tribute to a true artist and one of the rare originals of American cinema.